For close to two decades the OLED industry has been gathering at the OLEDs World Summit to discuss the research and development, market information, investments and technology advancements needed to make OLED lighting and displays commercially viable, as well as emerging new applications. September 21-22 marked the 19th annual meeting and proved to be a must attend meeting. 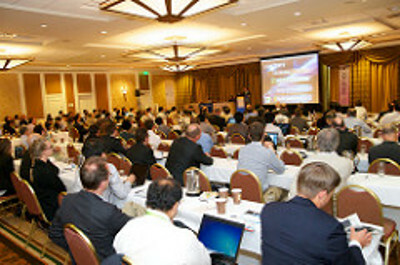 With over 120 attendees from across the OLED industry delegates heard from key industry leaders. LG Display opened the program as the keynote presenters, providing insights on their OLED lighting and displays. They were followed by presentations from Cynora, Kyulux and Kateeva, who shared the technological advancements they have made in OLED materials and their projections for the future. From end use perspectives from Audi to a presentation on “Equipment for the Next Generation of OLED Displays” from Applied Materials, the presentations were informative and provided excellent points of discussion for delegates. The presentations mixed with the exhibition and networking opportunities provided an event that will continue to be a must attend for those in the OLED industry. 3M, Boeing, Audi, Rockwell Collings, Pixelligent Technologies, Dow Chemical and others have registered to attend the OLEDs World Summit--Don't miss your chance to join them in next week!